Gamer’s Rhapsody: Best Game of 2016! At Gamer’s Rhapsody we won 2016 Game of the Year and Best Story! 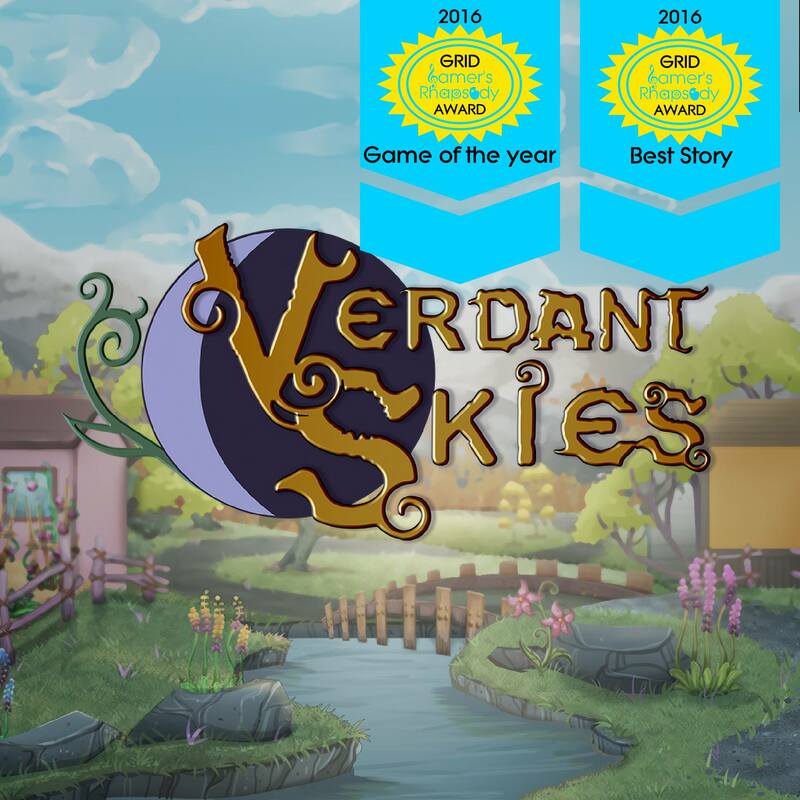 And best of all, we had a lot of players who got to sit down with Verdant Skies and play through the beginning of the game. Since Gamer’s Rhapsody is a relatively small convention, players were able to continue their saves on the second and third day of the convention, so half a dozen players were able to get 1-3 hours of gameplay! Thanks to our dedicated testers who got through the first 3 character events, picked and sold $500 worth of flowers, and got all the tool upgrades. Thanks to Gamer’s Rhapsody for an amazing con! I’ve been working on some of the more advanced farming features. After watching some of the people who played a longer amount of time at Gamer’s Rhapsody, I realized there was room for more advancement in farming. Once players have done a few rotations of crops in one or two fields, they are looking for some ways to make themselves more effective. Fertilizer increases the growth rate of a crop – and a certain genetic trait makes it a requirement. Sprinklers allow you to water a whole 2×2 field with a single touch. I’ve also finally done the programming to unlock region specific crops. Rice, for example, grows only in the marsh. Cactus plants can only be cultivated in the mountains. 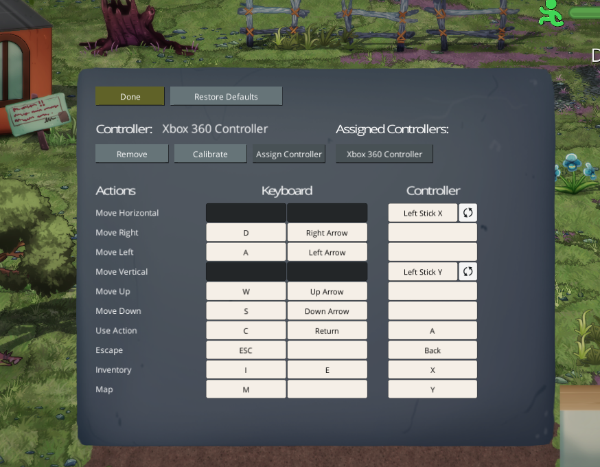 We’ve added controller support and the ability to rebind the keyboard keys. The game is still completely playable with just the mouse, but our goal is to make it playable with just a keyboard or just a controller as well. We’re testing with XBox, PlayStation, and Steam controllers, but the system should work with just about any controller you can imagine. Worst case, you’ll have to bind some buttons manually in the interface. The biggest challenge with controller support is making sure all the menus can be navigated effectively with the controller. This has proven to be time consuming so far, but it’s just a matter of sitting down and doing the work. We’re continuing to add new clothing and hairstyle options. I’ve developed an animation testing tool so it’s easier to make sure all the clothing lines up properly. Rosie Martinez is the colony’s talented mechanical engineer. Blind from birth, she never let her disability hinder her adventurous nature. She has a knack for fixing things and has many patents for her original designs. Respected by her peers on the home world, Rosie now uses her gifts to aid you in your colonization of Viridis Primus.